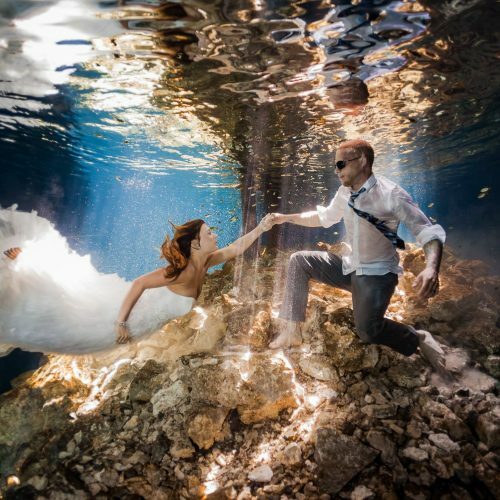 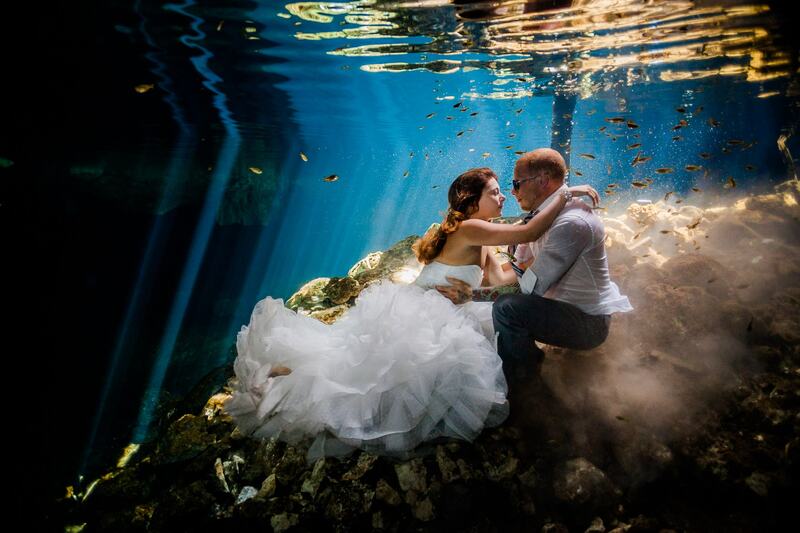 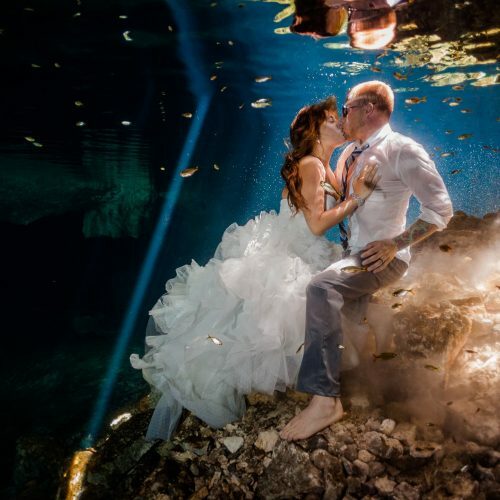 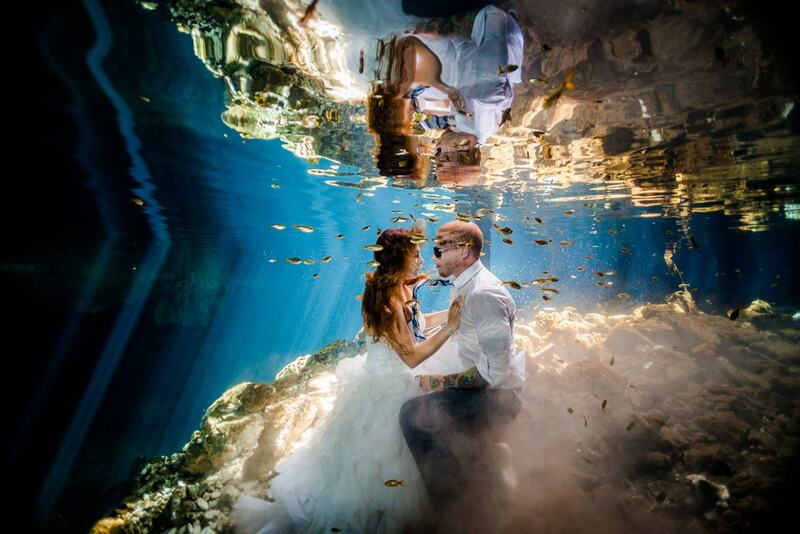 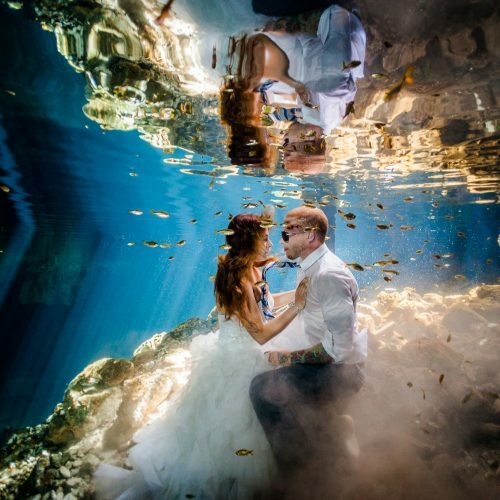 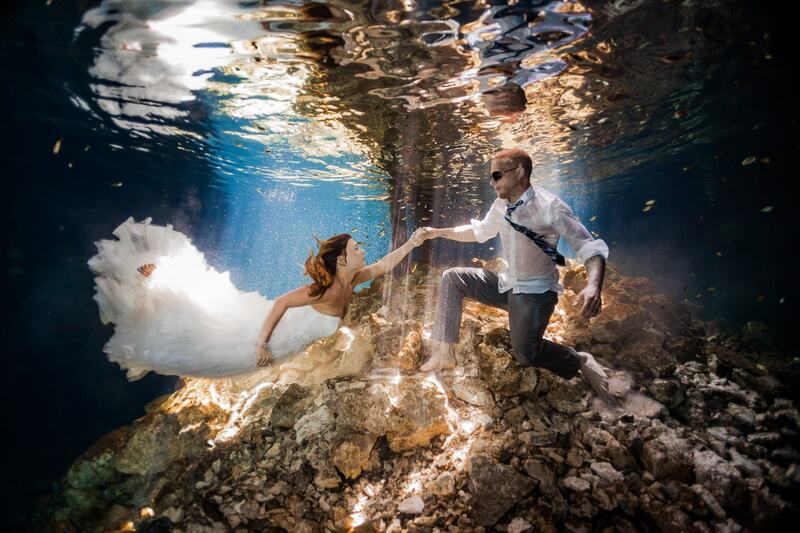 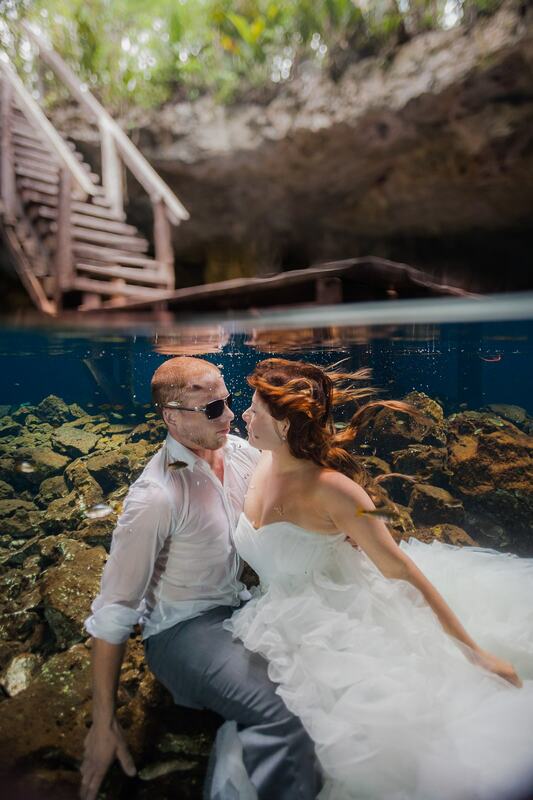 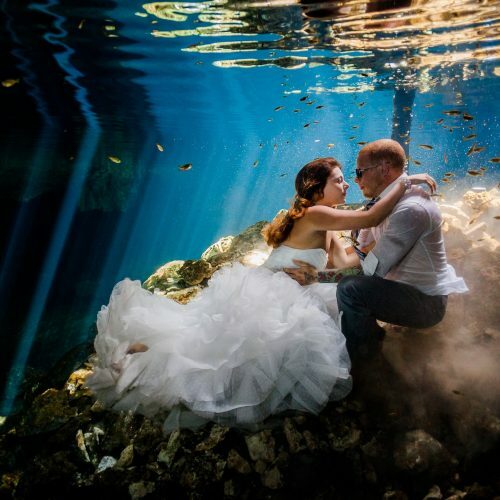 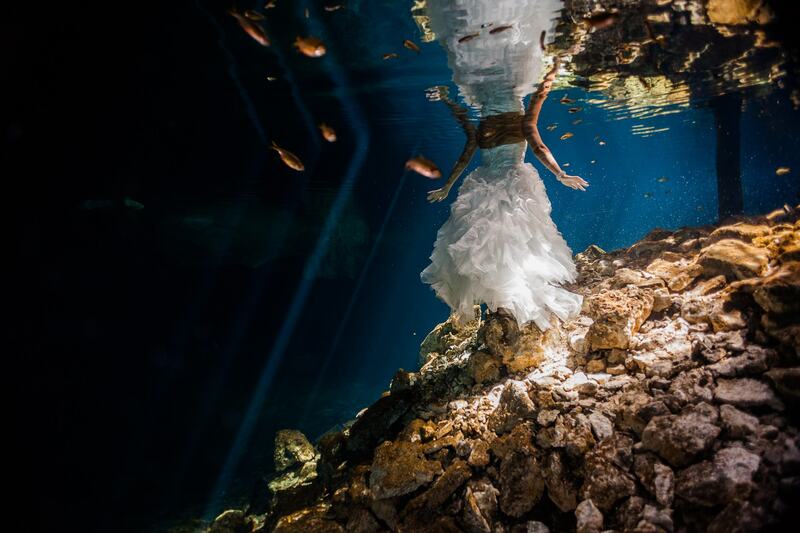 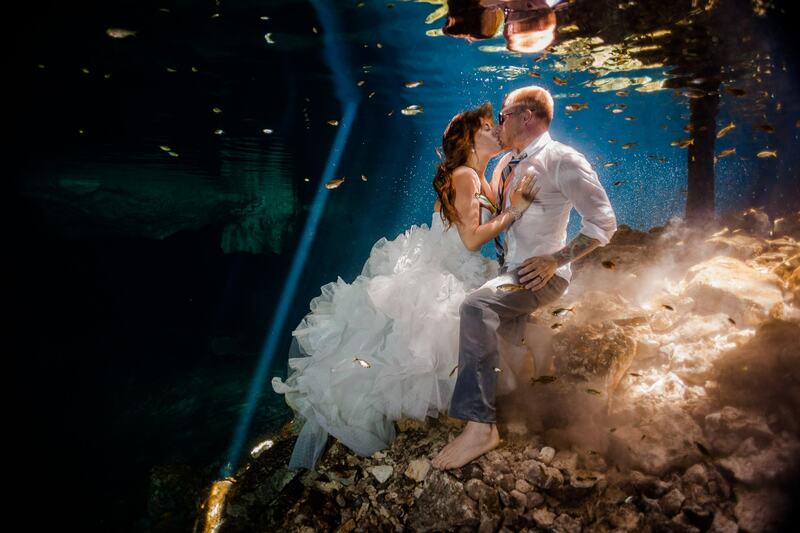 A couple of days after Stephanie and Erich’s wedding we headed to one of my secret Mayan cenote locations and captured these amazing underwater trash the dress images. 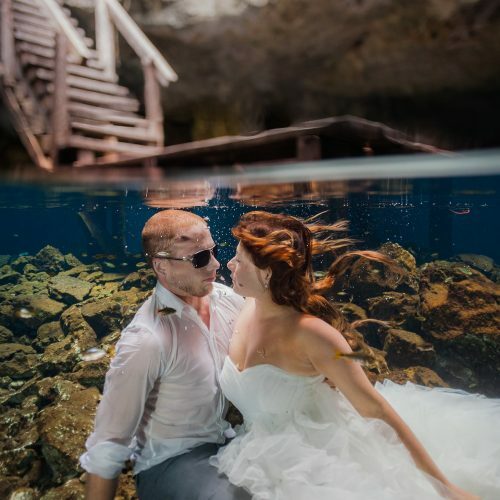 On the day I was confident that we had captured some beautiful images, but nothing prepared me for how spectacular the would become after editing them! 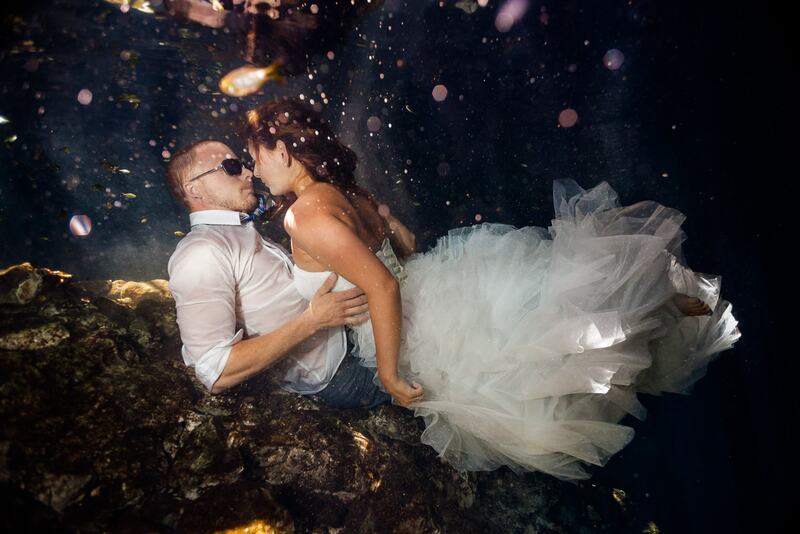 I loved working with Stephanie and Eric as they really gave it everything they had and I know they will cherish these images for a lifetime. 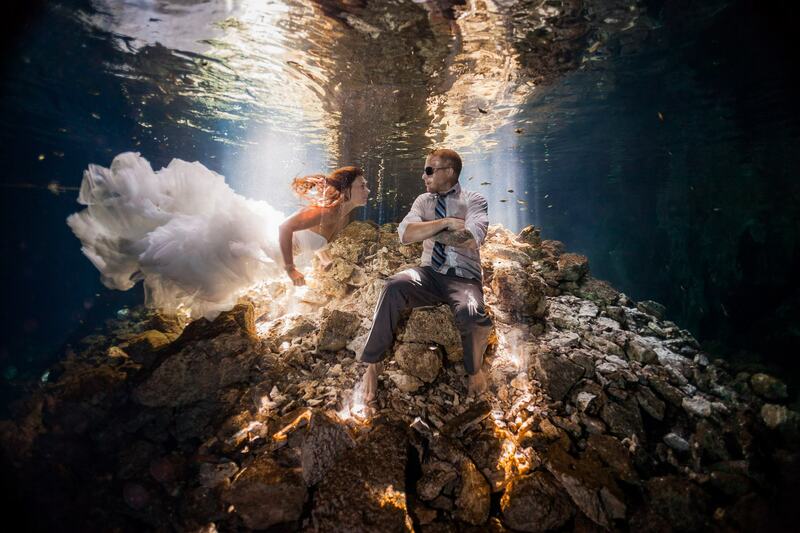 In fact, it was such a challenging day we needed some refuelling after all of our hard work. 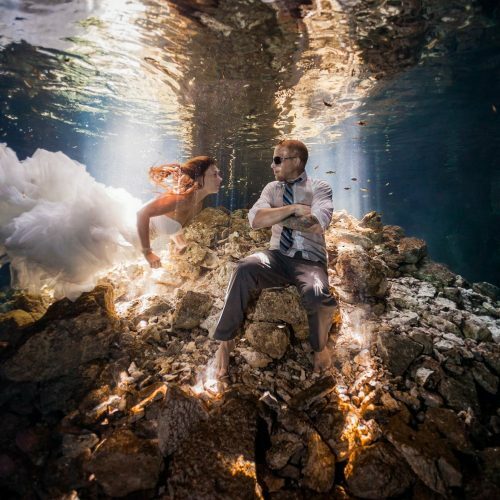 Therefore we stopped at the world’s best taco stand, which is basically a shack on a patch of beaten dirt with chickens clucking around at your feet. 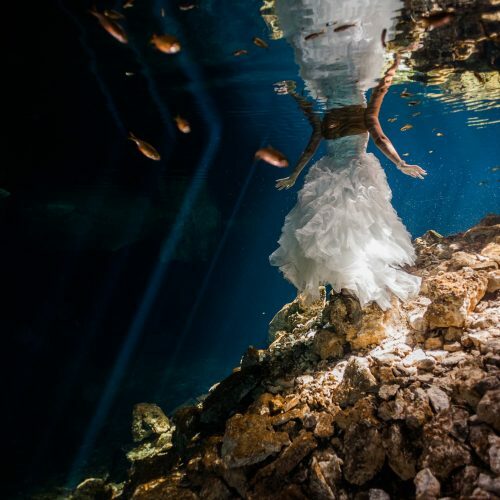 This is another thing I love about Trash the Dress days: being able to share authentic glimpses into daily life in my new adopted home of the Riviera Maya, Mexico.